The defender will be able to remain in the capital despite the club's registration embargo. 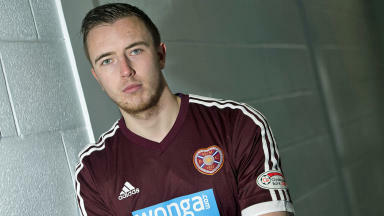 Danny Wilson will remain with Hearts after agreeing to a wage cut, the Edinburgh side have confirmed. 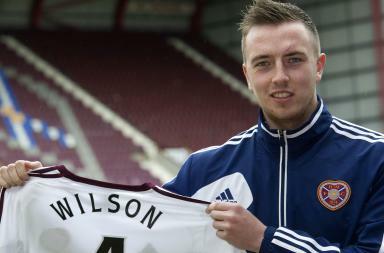 The Tynecastle club had previously announced that Wilson has an agreement to join permanently when his Liverpool contract expired. However the deal appeared to be off when the Gorgie side entered administration earlier this month. Striker John Sutton was made redundant on Thursday before signing a two-year deal to rejoin Motherwell. 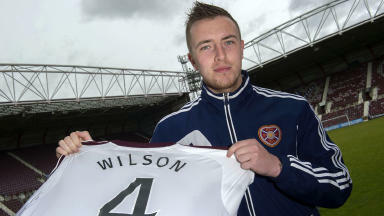 But 21-year-old Wilson has now followed Ryan Stevenson, Jamie MacDonald and Jamie Hamill in accepting a pay cut. In a statement the Scottish Professional Football League confirmed that despite the club being subject to an embargo, the deal wouldn't count as a new registration. They said: "The SPFL Player Registration of Heart of Midlothian FC player Danny Wilson would, had he not agreed a contract extension, have terminated on 30 June. "The SPFL has now received documents extending the contract of the player. "As a result, the Player’s existing SPFL Registration is automatically extended and is not affected by the embargo on new SPFL Player Registrations currently in place on Heart of Midlothian FC as a result of Heart of Midlothian plc (in administration) being in administration." Hearts manager Gary Locke told his club's website: "I am really pleased. Danny was already due to be part of the team and the administration has made no difference to his status. "I appreciate that there have been some difficult decisions made regarding player redundancies. "But given that Danny has agreed to a wage cut and is happy to be playing for Hearts, this gives us an opportunity to improve the team for the forthcoming season so why wouldn't we jump at the chance to have him on our side?"